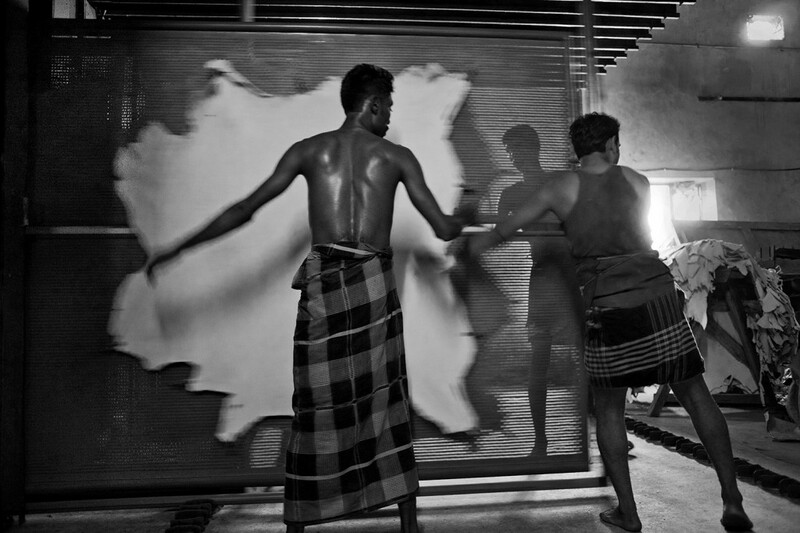 Hazaribagh is a major industrial area in Dhaka city focused on tanneries where 15 million square feet of leather is produced every year of which 12.75 million square feet is exported. 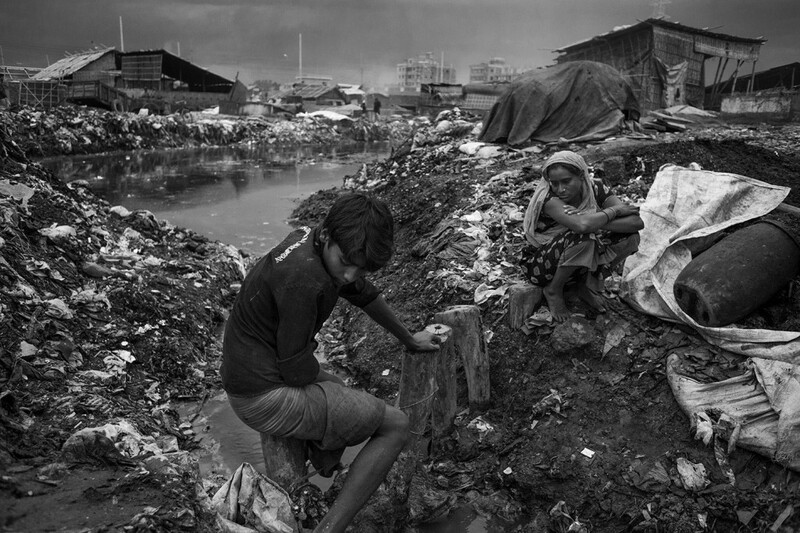 With over 195 tanneries in which approximately 25,000 people are working on regular basis, the conditions are severely detrimental to their health and of anyone living nearby. The living quarters of the workers are beside the open gutters where untreated waste pass from nearby tanneries. 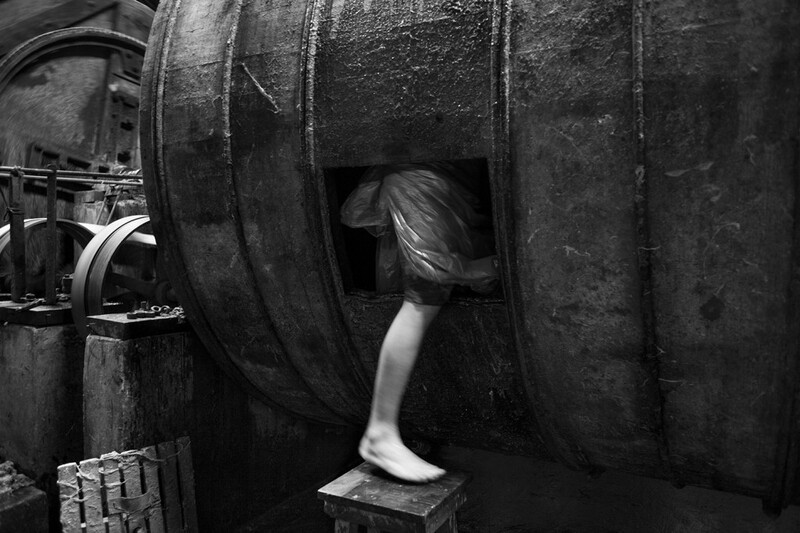 The feeling of nausea will overpower one if they aren’t used to the odor from the tanneries. 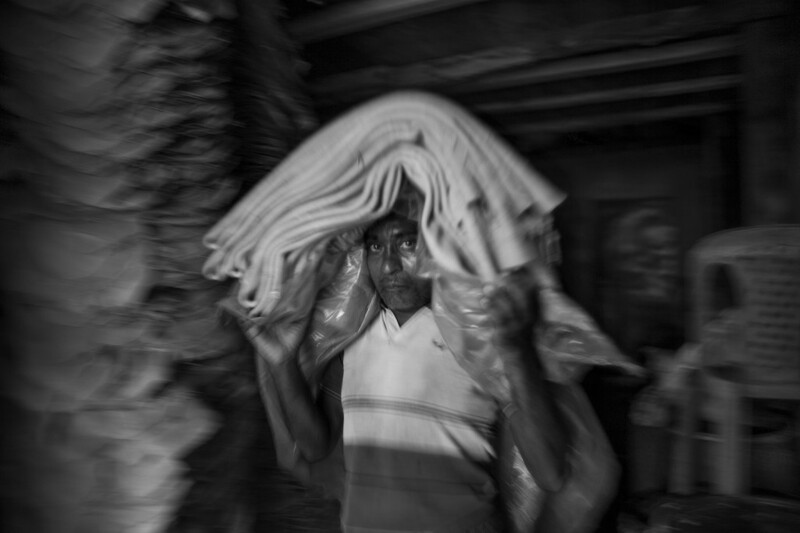 Working for the absolute minimum wage, ranging from 64-128USD a month, the workers of Hazaribagh tanneries must make their ends meet and feed their families. When asked about the literally toxic conditions they're working under, many say that they are well aware of the chromium fumes which are extremely hazardous to their health but they must keep going on to make sure they have enough money for food and living. 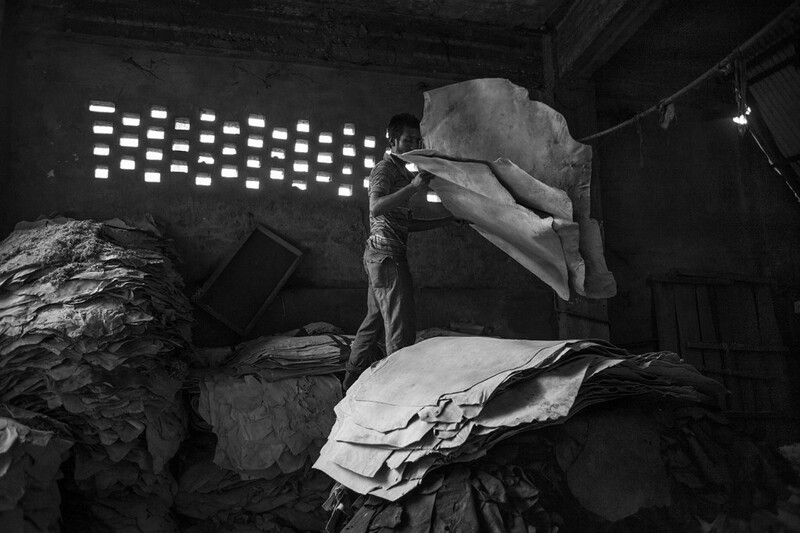 Inside the tannery pits, the workers handle the hide without any safety precautions whatsoever. 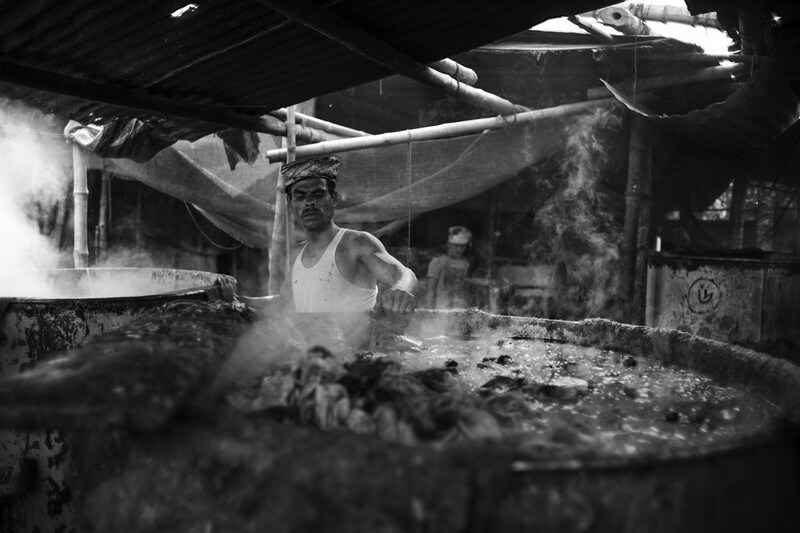 The pits contain hides which have been treated with chemicals. 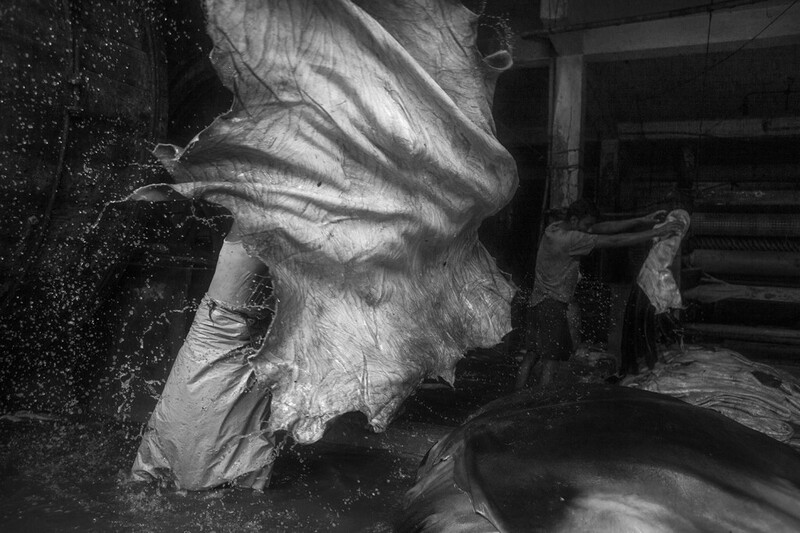 When the hides are thrown out of the pit, the workers often get splashed on their skin by acidic water or similar chemicals which induce burns. Rashes are a common occurrence among workers thanks to the way hides are handled. Asthma is also very common among workers as the toxic fumes from the chemicals heavily affect the lungs of the workers. 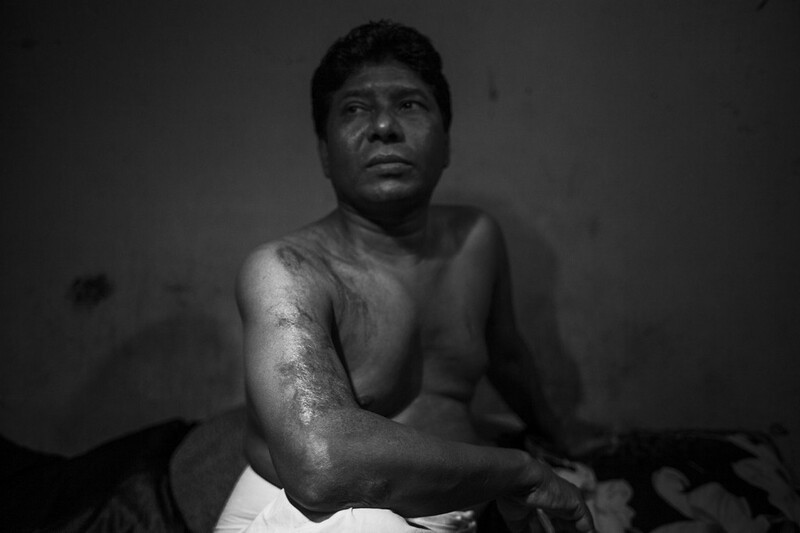 The workers are often called the heart of an industry but prolonged exposure tanneries has made most of its workers' skin prematurely aged with discolored and peeling along with acid burns and rashes. Under such terrible conditions as it is, workers are nauseous and dizzy most of the time as aches wreak havoc over their bodies. 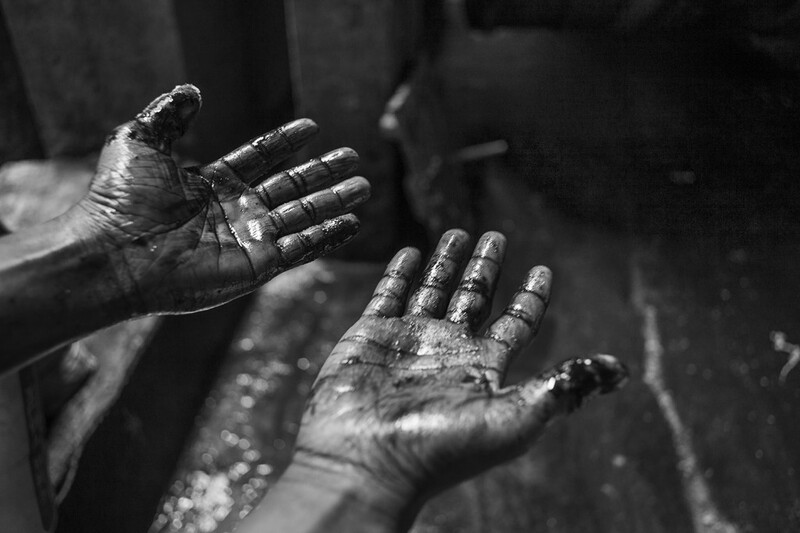 The presence of sulfuric acid and sodium sulfide in the work environment can severely damage someone's skin, eye membrane and respiratory tract. And yet these workers are working day and night in the tanneries, aware of its hazards but held hostage to earn a living. After the Rana Plaza disaster, the ready-made garments industry of Bangladesh quickly mobilized to fix worker safety hazards and infrastructural problems due to the international attention it received. Even though our government has promised to relocate the Hazaribagh tanning industries to the other side of the city in Savar, no initiative has yet been taken. Every day, 22,000 cubic liter of waste is dumped into the river and very little is done to save our environment. My idea is to bring the terrible conditions of Hazaribagh tanning industries into focus and show the world the terrible sight behind an industry that’s slowly killing our environment and those people who work to survive. I want to document their family life inside their home along with their working environment, their health issue such as skin problem and some other dangerous health issue caused by the tannery industry, and child nutrition. This is just a little but very important initiative on my part to document the hazardous and miserable lives of the tannery workers. Their health issue has always been neglected. Their unbearable ugly life disguised under apparent good life has instigated me to go into action with my camera. This is a kind of revolution and protest from my side to show the actual picture of the tannery workers and the overall polluted environment of that particular area. Moreover, I think, this project will help the other photographer and project like this.